Is SikhNet's Yogi Bhajan cult secretly arming themselves whilst hoping orthodox Sikhs are eliminated? It may seem fantastic to most Sikhs that SikhNet & the Yogi Bhajan cult are planning to stand by and watch orthodox Sikhs eliminated as social unrest rises & more & more hate attacks & murders are directed at traditional Sikhs but let's look at the evidence. 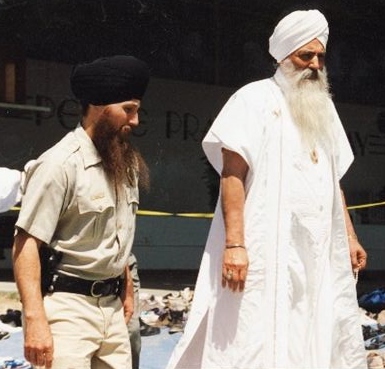 Yogi Bhajan had heavily armed security guards & SikhNet has 24/27 armed patrols provided by Bhajan's 15,000 strong Akal Security, yet not one offer has come to any traditional Sikh or Gurdwara to help train Sikhs in self defense or Gurdwara security. (4) SikhNet never reports on the Hinduvata lead death squads who behead innocent Sikh farmers in the Punjab! 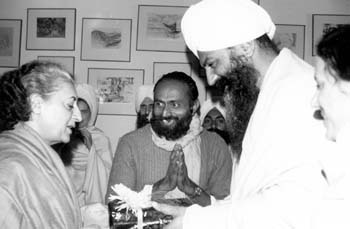 Conclusion: The Yogi Bhajan cult will stand by and watch orthodox Sikhs eliminated by hate attackers & murderers directed at traditional Sikhs while the carnage of social mayhem is witnessed by the Yogi Bhajan group after they've gathered in Espanola New Mexico & get protection from Bhajan's Akal Security forces. 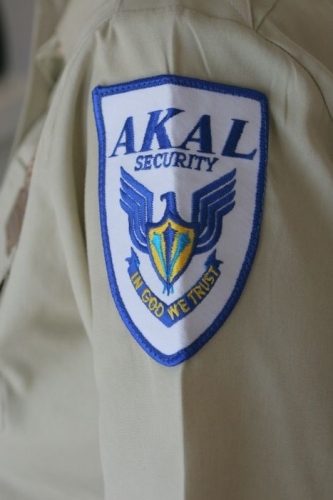 SikhNet offices are only 100 yards from Akal Security.